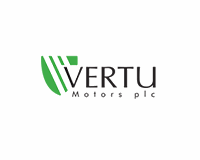 Zeus Capital note the trading update released this morning by Vertu Motors (LON:VTU), confirming they continue to trade in line with the trends laid out in the update released at the time of the AGM (25th July 2018) and in line with full year expectations. The company has also announced the appointment of Andrew Goss as Non-executive Director. We see this as an encouraging update and are maintaining our earnings forecasts at this juncture. We continue to believe Vertu remains well positioned to deliver significant medium-term shareholder value from here. 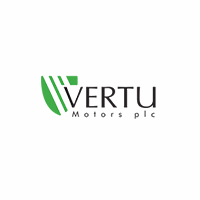 Trading update: Vertu has confirmed that they continue to trade in line with full year expectations and in line with trends laid out in the detailed update released on the 25th July at the time of the AGM. The company reported success at both growing market share and controlling costs in the AGM statement and highlighted the company’s continued focus on disciplined capital allocation to drive shareholder returns. Appointment of NED: The company has confirmed the appointment of Andrew Goss as Non-Executive Director. Andrew brings significant experience to the board wits 39 years of experience in the automotive sector, having held senior roles in Citroen UK, Nissan Europe, Lexus (GB), Toyota (GB), Porsche and most recently Jaguar Land Rover. He was President and CEO of JLR’s North American business between 2010 and 2013 and sat on their board from 2013 until 2018 as Global Sales Director. We see this as a useful addition to what is already a high calibre board. Forecasts: We leave our forecasts unchanged following this update. We expect Adj. PBT for 2018E of £24.8m, and are forecasting a H1 adjusted PBT of £18.0m vs. £20.9m last year, which implies a H2 down 10.6% YOY. While there remains a number of challenges in the market with a mixed consumer picture and WLTP coming in to force particularly in new cars, we believe we have made a conservative set of assumptions that are at the lower end of a narrowing consensus range. We also expect Vertu to continue to outperform in used cars and aftersales, where market conditions remain robust and execution has been strong. Investment view: We believe the long-term valuation remains compelling at Vertu trading on a 2019E P/E of 9.9x falling to 7.8x in 2020E and an EV/EBITDA of 6.0x falling to 4.8x. The FCF yield post 2019E also looks highly attractive at 8-9% with progressive dividend yielding in excess of 3% to boot. Management remain committed to driving shareholder value and we note it has acquired back >5% of the issued share capital with authorisation renewed to go up a further 10%. H1 results will be announced on 10 October, and we should gain a clearer picture of how the Group traded through the September market.